Joinery is the art of attaching two pieces of material together with intricate interlocking design, or affixing them together using a small bit of material that is hidden once they are joined. Joiners may press two pieces of wood together with something called a biscuit or plate in the middle, and these biscuits are created using joiner tools. Craftsmen will then often glue the wood or products together after the fact to ensure the joinery is as secure as possible. Often joiners will utilise more than one type of joinery method to create a highly successful product. Now we’ve covered a more general understanding of joinery, let’s discuss some of the different types of joiner and joiner tools. Biscuit joiners and plate joiners are the same thing, and both refer to the woodworking tool used to join two pieces of wood together. This is done by using the biscuit joiner to cut out a curved hole within the wood within which an incredibly strong engineered wood biscuit is glued, and the wood pieces are secured around. The glue also makes the biscuit expand, further securing the bond. The tiny biscuits are made by the biscuit joiner that cuts out the hole where they will fit, and will cut a biscuit of the proper thickness and width. What is a bench joiner? A bench joiner is one that you do not hold in your hand. The majority of joiners are small devices that you hold in your hands, but a bench joiner may be used for large biscuits and their applications. You may attach these tools to a bench, or you may set them on the floor to work with them. They are much larger and more difficult to work with, and are mainly used for large commercial projects where clean seams are required. What is a shuttering joiner? 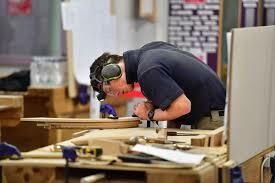 A shuttering joiner is the person who actually makes the frame that is comprised of wood and biscuits. They are tasked with using joiners and biscuits to connect all these parts, and they are required to finish the project so that no seams can be seen. 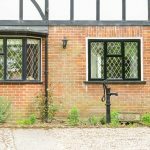 Their job has been around as long as the joiner tools themselves have been around, and they are experts in the art of joinery. 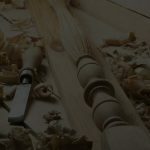 Joinery is a fantastic art that will seamlessly pull together any woodworking that you need or plan to do. You may use a number of different joiner sizes and techniques to complete any one project and you may make as many biscuits as you need. The joiner will help you cut the spaces for the biscuits, make the biscuits, and work in any size to ensure that you create professional work. 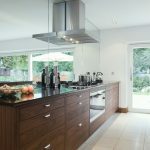 Ultimately, the wonders of joinery is that it will be impossible to tell how the woodwork is held together because the glue and biscuits are hidden under the surface, making the product seamless and a beautiful addition to your home. To find out more about the types of joinery we do get in touch today, or browse our site to uncover some of our most popular joinery products, such as our staircases, windows and doors.